On this page, you’ll find several free downloads to enhance your enjoyment of our products. 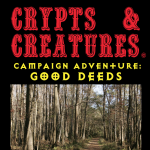 Looking for something to get your players started in Crypts and Creatures? Take them through Good Deeds. This is a 10-page PDF adventure for 4-5 characters, starting at levels 1-2. Set in the world of Shaleria, a complete copy of this narrated campaign adventure is also included in the Shaleria Campaign Setting book. A digital copy of the character sheet included at the end of the Crypts and Creatures core rule book. Take care of your players. 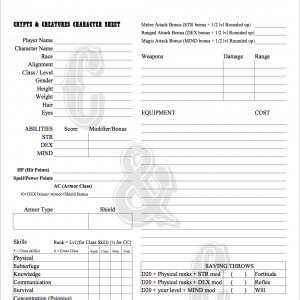 Give them real character sheets. Psionic characters are introduced in the Crypts and Creatures Player Codex, and now you can download a character sheet tailor made for them. Whether it’s a familiar, a mount, or just a pet, some creatures stick around for awhile. 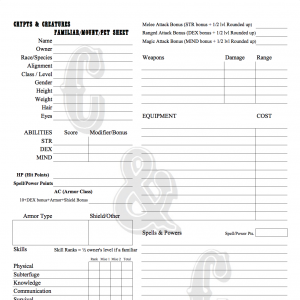 When the time comes to specify stats, you’ll probably want this sheet. It even works for minions! Sometimes the players go off in a random direction and you find that you’re left without a clue what to do. Fear not, intrepid GM! 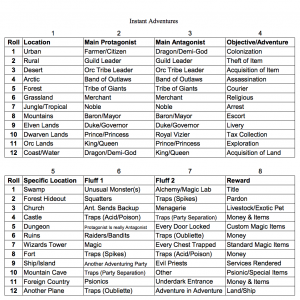 This Instant Adventures PDF offers a way to quickly generate random adventures. Grab your trusty D12 and you’ll have an idea in no time. When in the course of gaming events, it becomes necessary for one GM to define the political bands that connect intelligent creatures together within a gaming world, a decent respect for continuity requires that the information about such countries be recorded. Here’s a PDF for doing just that. Worlds are round but, for millenia, people have been drawing them so that they may be rendered onto flat sheets of paper for easier reading. 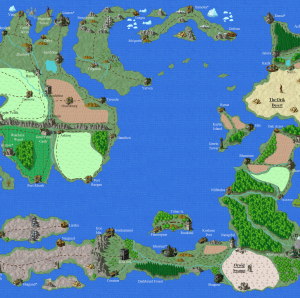 This is one such map, detailing the places within the fantasy world that is the subject of our Shaleria Campaign Setting. A physical copy can be purchase with that book. We promise that your players won’t sail off the edge of this map, unless you decide they need to. It seems like every pantheon of deities is rife with tales of who fathered or mothered whom. 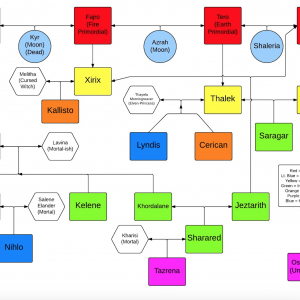 Here you’ll find a diagram that explains how every member of the Shaleria Campaign Setting’s pantheon is related. We’re pretty sure it’s still simpler than what the Greeks came up with. 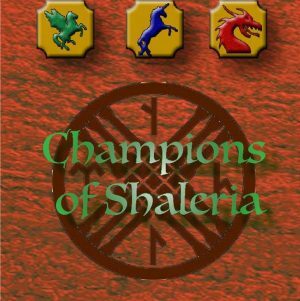 Every Champions of Shaleria Core deck contains a list of the rules, however we thought you might find it helpful to have printable PDF that contains all of the rules and larger versions of the icons used in the game. Check back from time to time, as we’ll up date it as we release new core decks that contain new icons. This file also acts a Living Rulebook, meaning that any changes, additions, expansions, modifications, or variations of rules or play-styles for will ALWAYS be listed here for FREE. Our lawyers tell us that we have to put a copy of this license up here, including statements about what content is and is not covered by the license. 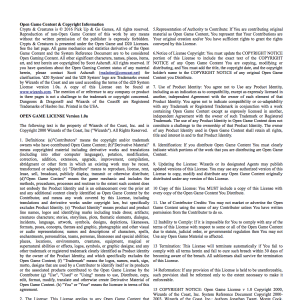 Feel free to download a PDF here.